Nickel, a silver-colored metal found in nature, is a common cause of allergic contact dermatitis. Nevertheless, the existence of inflammatory reaction to oral nickel exposure remains controversial. The following study investigates whether oral nickel can change the intestinal microflora in mice. A total of 20 female ICR mice were randomly divided into two groups: the oral nickel group (Group O) and the control group (Group C). Group O received water containing 400 µM NiSO4·6H2O, while group C was given pure water for 21 days. The content of nickel in the kidneys was determined by atomic absorption spectrophotometry, while the composition of bacterial community in the cecum was detected by 16S rDNA sequencing. The results were subsequently validated by real-time quantitative PCR with genus and species specific primers. Compared to Group C, significantly higher nickel levels were observed in Group O (P = 0.016); however, our data suggested that oral administration of 400 µM NiSO4·6H2O was nontoxic to the animals. (No statistical difference in body animal weight was found between Group O and Group C, before and after oral administration of nickel.) 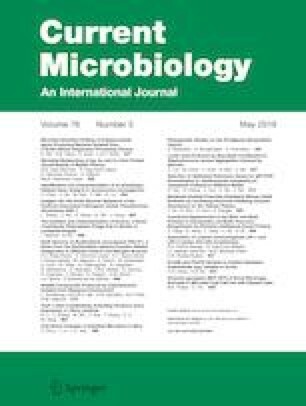 At the genus level, significantly higher relative abundance of Bacteroides (P = 0.016) and Intestinimonas (P = 0.018), and significantly lower relative abundance of Lachnospiraceae_NK4A136_group (P = 0.002) and Lachnospiraceae_UCG-001_group (P = 0.042) were observed in the oral nickel group compared to the control group. In addition, Group O had significantly lower ratio of Firmicutes/Bacteroides (P = 0.008). The results of real-time quantitative PCR further confirmed that the amplicon mass of Bacteroides and B. fragilis in the Group O was significantly higher compared to C group (P = 0.034 and P = 0.02). Oral nickel could change the intestinal microflora in mice, thus suggesting that oral nickel alters the interaction between the host and the intestinal flora. The online version of this article ( https://doi.org/10.1007/s00284-019-01664-1) contains supplementary material, which is available to authorized users. National Natural Science Foundation of China (No. 81373175) supported this study.